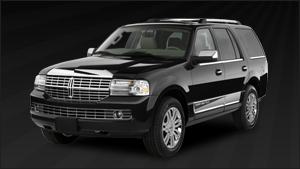 416 Toronto Limo Service provides limousine services throughout Toronto and all of the GTA. We provide you with limousine service anywhere within the GTA including Toronto, Pickering, Ajax, Whitby, Oshawa, Markham and all of the Durham Region. With so many Toronto limousine companies available for you to choose in Toronto, it can be difficult choosing the one that is right for you. This is why at 416, our limo services in Toronto will offer you everything you need to make sure your decision was positive. From our limousine fleet, to our limo drivers, our customer reps will be able to assist you with booking a Toronto limo with us and you will see the difference of our limousine services in Toronto. Our prices are very competitive and all of our limousines feature LCD screens, lighting, sound systems and more. We are the proud owners of one of Toronto’s most extensive fleets of cars in the luxury transportation industry. We assure you that you will find a match for your needs with us. Whether it is glitz and glamour or subtle sophistication or somber elegance that you need, we assure you that our cars will perfectly fulfill your needs. From town cars to stretch limos to SUVs to Mercedes, we have it all. Plus our cars are equipped with every state of the art facility that anyone can ever need. At 416 Limousine, all of our cars equipped with two-way radios and cellular phones to ensure accurate and timely communication with each of our chauffeurs, so that we can respond immediately to any of your needs or travel changes. Also add the luxuries like plasma television, music system etc. to make you feel on top of the world. With our cars you will have a travel experience like no other. We hope that you will feel 416 Limousine service can provide you with the kind of ground transportation that you need. The trust and confidence you place in us, is our most valuable asset. We appreciate your consideration of 416 limousine services and hope we will have a chance to serve you soon. Thank you for your time and the opportunity to introduce our services to you. Toronto Limo has a variety of many limousine services in Toronto and the 416 area including wedding limousines, providing you with a luxurious wedding service for your Toronto wedding. From traditional limousines to exotic SUV limos, including party and limo bus for your wedding limo rental in Toronto, we will offer you with limousine fleet that is right for your occasion. Along with Toronto wedding limos, we have airport limousine services, offering you pick up and drop off services for airport shuttle services, and airport car services in Toronto. Offering you corporate limousine rental services in Toronto for company executives and clients flying into Toronto for the first time that are looking for airport limo taxi service and providing them with corporate limousine services. It will be our pleasure to provide a positive experience to your day. © 2012, 416 Limo. All Rights Reserved.